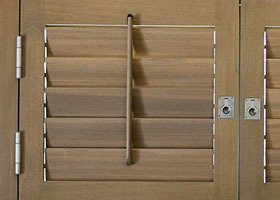 Plantation Timber Shutters® exude the natural warmth, soft touch and beauty that only solid wood can provide. 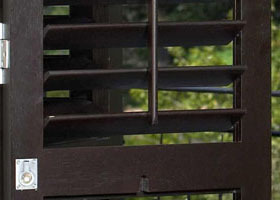 Our superior quality Plantation Timber Shutters offer a stylish, solid and durable alternative to traditional window coverings such as curtains or blinds. 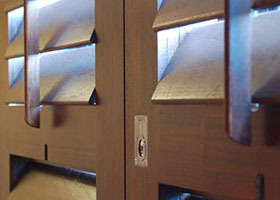 A favourite amongst interior designers, solid timber shutters add timeless elegance and value to any home. These timber shutters are most commonly used as a window or door coverings, and are also a practical and elegant solution as an internal room divider. The broad range of colour options will ensure that you find the style best suited to your home. 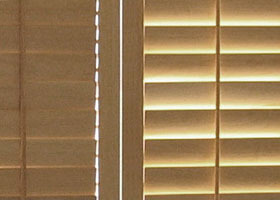 Plantation Timber Shutters are perfect in all areas of your home - from the living room, to kitchens, bathrooms and bedrooms - they provide the ultimate in light and privacy control. Manufactured using African grown, sustainable timber - we are unmatched in quality of product and service, due to our dedicated in-house teams following through from design to manufacture and installation. Plantation Timber Shutters offer an unparalleled lead time of 21 working days from order to installation, and there is a 5 year guarantee. 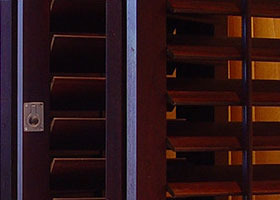 Experience the insulation, longevity and beauty of Plantation Timber Shutters® today. 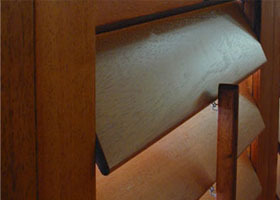 Our wood finishes are the best in the industry. Our standard coated colour is Satin White. We can also paint match to your specific colour. and do not reflect the true look of the finished product. 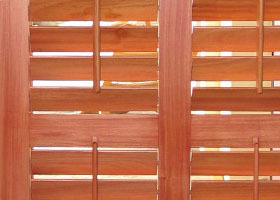 The primary function of Plantation Timber Shutters®, apart from the aesthetics, is to control light and privacy. 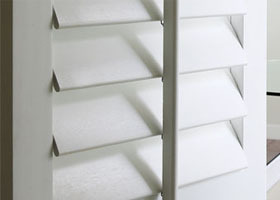 They also provide excellent insulation for both temperature and noise. 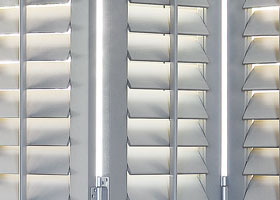 Unlimited styles, colour options and a wide array of stains with multiple push/tilt rod options and the ability to have louver and/or solid panels. You dream it, we create it. Naturally light weight, stable and solid our solid wood shutters have beautiful wood grain and are easy to clean with no maintenance needed. 5 year product guarantee and guaranteed against beetle and wood borer attacks. Our 21 working day lead time has been industry leading for years and because we manufacture from scratch in SA we pride ourselves on service excellence. African grown, sustainably sourced, FSA approved timber that is ideal for our climate. Due to our dedicated and experienced in-house teams who control everything from initial sales visits to measurement, quoting and installation – we offer the most seamless and stress free service in the market. Peace of mind is a priceless commodity.